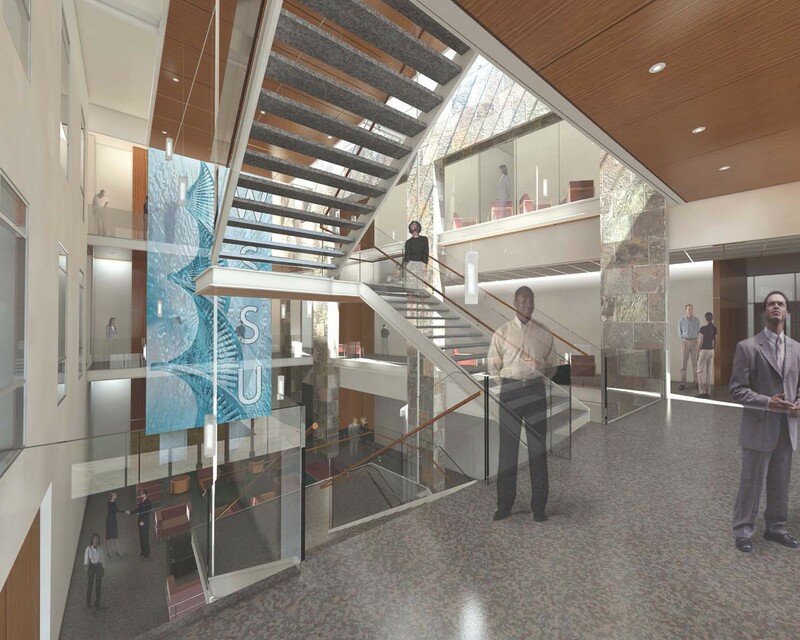 Winston-Salem State University’s new Science Building is a $53.3 Million, 102,095 SF, 5-story facility. 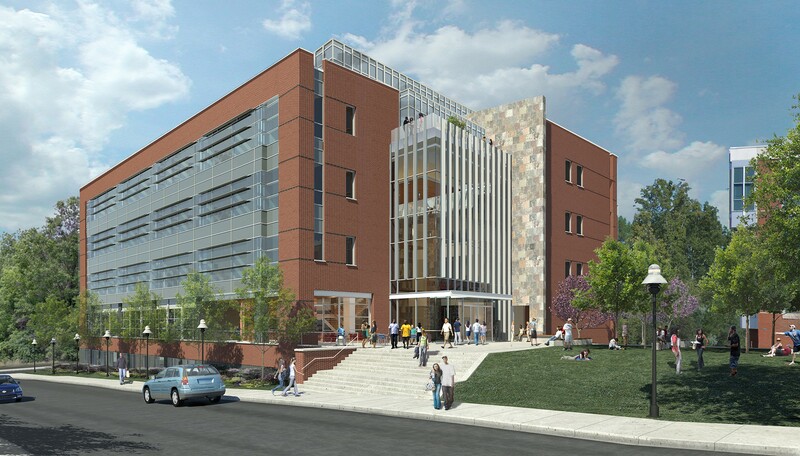 The building will provide a 240-seat flexible lecture hall, 4,500 SF of classroom space, over 30,000 SF of traditional and investigational lab spaces. 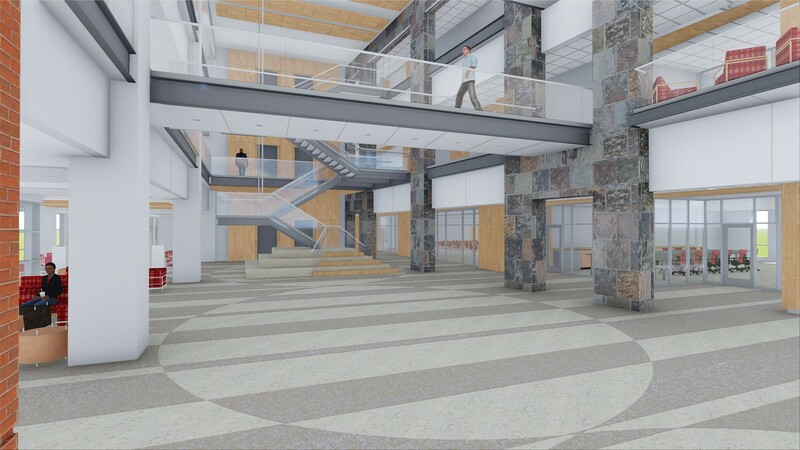 A grand staircase links the administrative and lab/classroom spaces together and serves as a focal point of the atrium. 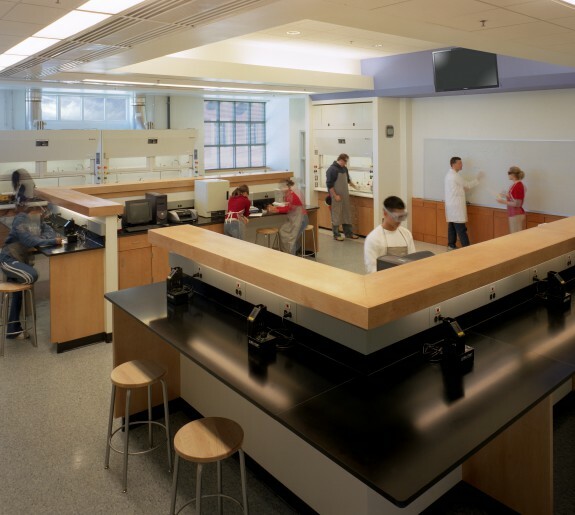 The 2,700 SF atrium and lounge puts science on display surrounding faculty, students and visitors in the buildings mission of educating future scientists. The atrium will also feature a small cafe. A 1,500 SF maker space is visually center within this interactive space providing a glimpse into the inner workings of these specialties. The atrium and break out areas throughout the building will proliferate the exterior as well and activate the newly created quad space. 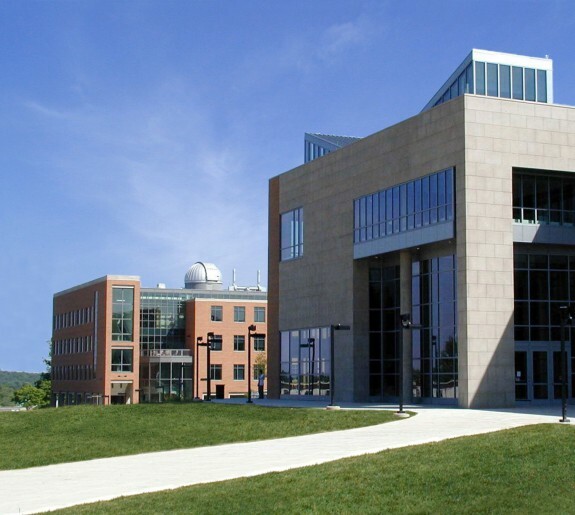 The fith floor includes a lounge with an outdoor terrace that overlooks the quad and connects learning and administrative areas. 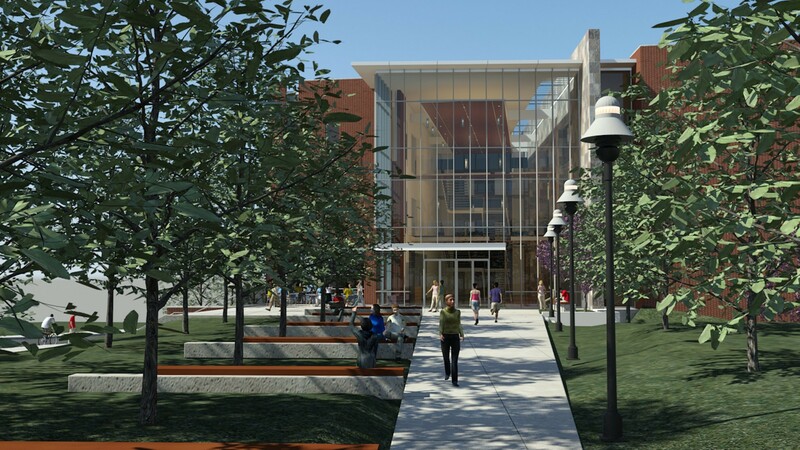 The quad will reflect Winston-Salem State University’s campus identity which is focused on creating interaction between students and faculty on the intimate pedestrian scale. 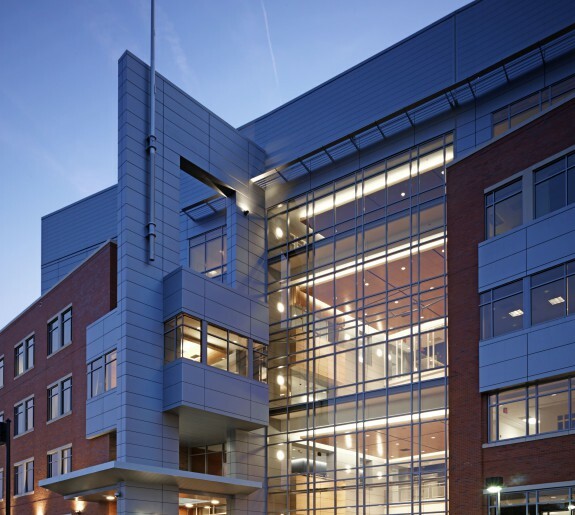 The Science Building will provide a technologically advance and environmentally sensitive facility as demonstrated by its goal to be the first LEED Silver building on campus.